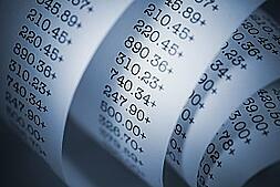 Virtually every business must prepare reports on its financial performance. Whether it's a closely-held business or a nonprofit organization, such financial reports assist managers and owners in making sound operating decisions. The accounting profession has developed standards that enable CPAs to offer a range of financial statement services. If it's an audit, review, or compilation, we provide the level of service necessary to fulfill your financial reporting needs. We emphasize obtaining a thorough understanding of our clients' businesses and organizations through intense planning to effectively execute timely and efficient financial statement assurance engagements. Obtaining such a thorough understanding allows our professionals to identify, communicate, and assist with opportunities for strengthening internal controls and operating efficiencies. Our team of professionals working with you to fulfill your financial statement assurance needs also has substantial corporate and individual tax experience, which results in integrated tax planning for our closely-held business clients and the respective owners. An audit is the most extensive service and is an essential tool for the quantitative assessment of any organization or business. An audit is appropriate for entities that must offer a higher level of assurance to their outside parties. The objective of an audit is the expression of an opinion about whether your financial statements are fairly presented, in all material respects, in conformity with U.S. generally accepted accounting principles. Audits include such procedures as confirmation with outside parties, observation of inventories and testing selected transactions by examining supporting documentation. From the owner and operator's perspective, an audit is a tool for independent verification of an organization's or business' financial position, results of operation, and cash flows. Ultimately, financial statement users are looking for confidence that the information being provided has been subjected to an appropriate level of scrutiny. Our audit professionals provide that confidence. A review is substantially less in scope than an audit and consists principally of inquiries of company or organization personnel and analytical procedures applied to management's financial data. A review may be appropriate for entities that must report their financial information to third parties, such as creditors or regulatory agencies, or for business owners who are not actively involved in managing their companies. While a review is less comprehensive than an audit, it involves a significant degree of knowledge and understanding of your business or organization, as well as the industry in which you operate to effectively evaluate inquiry responses and analytical results. Professional standards for a review require us to perform procedures to obtain limited assurance that there are no material modifications that should be made to the financial statements. The objective of a compilation is to assist management in presenting financial information in the form of financial statements without providing any assurance that there are no material modifications that should be made to the financial statements. A compilation may be appropriate for a small, closely-held entity that needs help in preparing its financial statements in a proper format. We can compile your financial data into a proper financial statement format on a monthly, quarterly or annual basis. As no level of assurance is provided, a compilation does not involve the same procedures conducted in an audit or a review, unless there is evidence that the data provided is in error or is incomplete.